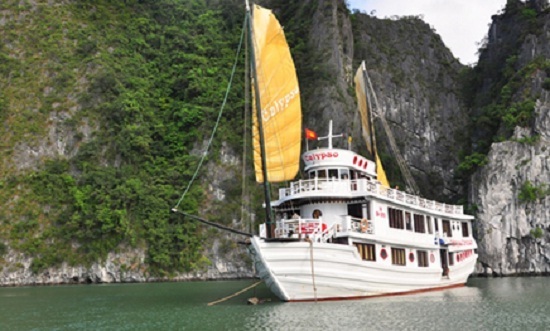 Yacht Calypso is designed with a cozy little space for visitors who want to escape from the everyday noise to find and enjoy the peaceful floating on Halong Bay. 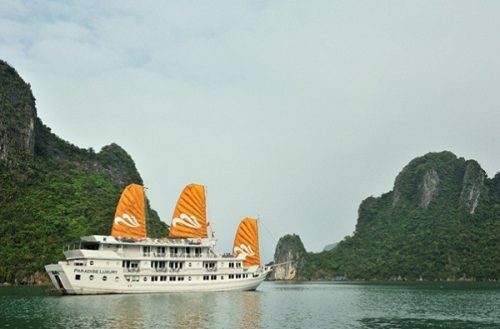 Experience the amazing scenery of Halong Bay and Yacht Calypso – Goddess of the sea, will surely give you unforgettable memories. 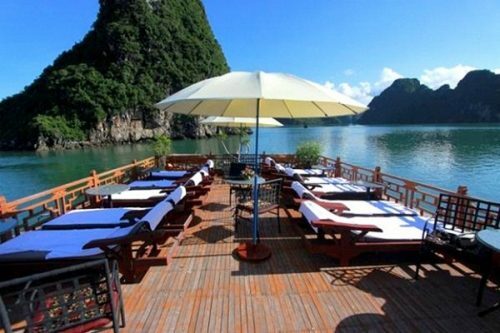 With its luxurious interior, comfortable rooms and excellent service, overnight on yacht Calypso, you not only get a very personal feel to Halong Bay where you will have the opportunity to participate in many activities extremely interesting as karaoke, fishing, squid fishing at night and kayaking. – Type of wood boat with 12 separate rooms (stylish design ship: Classical modern combined). 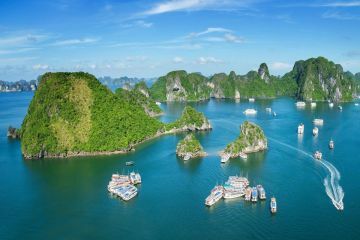 – Prices refer boat: 2,900,000 VND / 01 (If you go in time: 01/05 – 30/10, the only price: 2,500,000 VND / 01 adults). 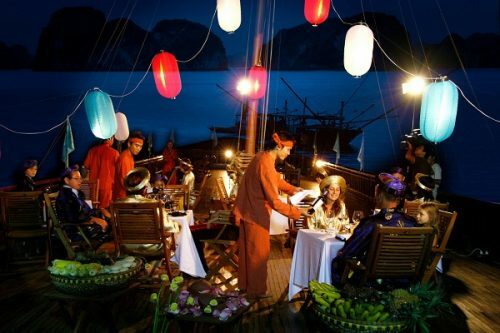 – Prices refer boat: 3,300,000 VND / 01 (If you go in time: 01/05 – 30/10, the only price: 2,700,000 VND / 01 adults). 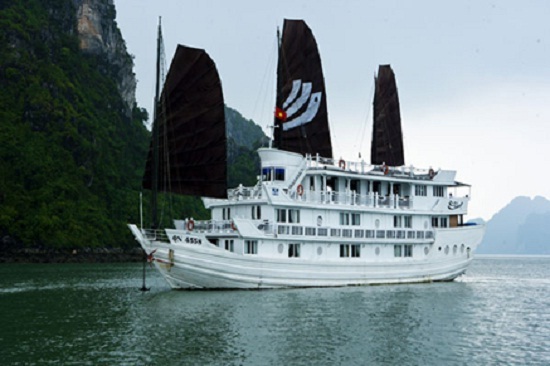 – Type of wood boat with 07-16 separate rooms (stylish design ship: Classical modern combined). 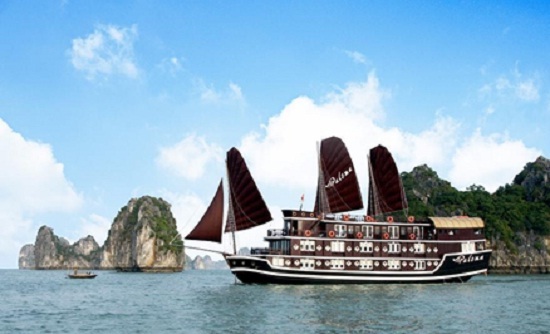 – Prices refer boat: 2,700,000 VND / 01 (If you go in time: 01/05 – 30/10, the only price: 2,400,000 VND / 01 adults).